Crestwood Medical Center offers specialized, outpatient care for non-healing wounds, including hyperbaric oxygen therapy. 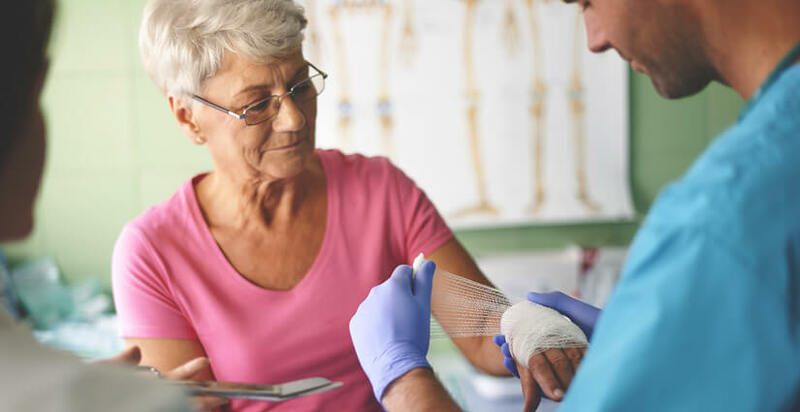 Our team of doctors, nurse practitioners and nurses provide treatments to promote healing of chronic wounds and help patients recover as quickly as possible. Our center is staffed with a unique team of doctors, nurses, and therapists all dedicated to healing chronic wounds. The causes of wounds are complex, and our group represents expertise in all of the major areas necessary to handle your varied circumstances and challenges. Whatever it takes for healing to occur, we’re equipped and staffed to make it happen. The Wound Care Center comprehensive approach to wound management utilizes the latest clinical tools and traditional clinical practices. 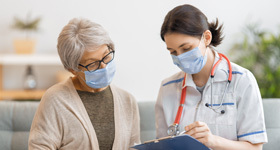 An individualized treatment plan may include specialized wound dressings, debridement, compression therapy, hyperbaric oxygen therapy, prescription growth factors, bio-engineered skin grafting, edema management and non-invasive vascular assessment. With our caring staff and specialized treatment plans developed just for you, we have what you need to get back on your feet again. Most of our treatments are covered by Medicare/Medicaid, HMOs, and other private insurance plans. Generally, the physician currently treating you will refer you to our Center for specialized care. You can also make an appointment directly. When you call for your first appointment, we will ask you a few questions about your wound and your health in general. Before treatment, our team of doctors and nurses will thoroughly evaluate your wound and review your health and medical history. Tests may be conducted to tell us more about your blood flow and tissue oxygenation as well as to determine if there’s any infection present. Together with your physician, we’ll develop a treatment program based on your special needs. We are in constant communication with your doctor throughout your care. Once your wound is healed, you’ll return to your doctor for follow-up care.